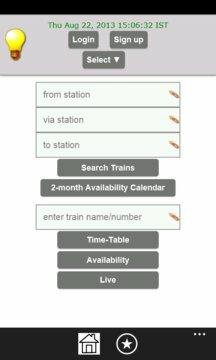 This app shows information of Indian Railways. 1)It shows all the trains between two stations even unreserved passenger trains. 2)You can get time-table of all the trains. 3)You can get availability of all the trains. 5)You can get all arrivals/departures at a station. 6)You can get fare chart.